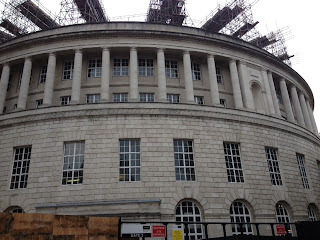 The Manchester Central Library was opened in 1934 - the rotunda-like form was inspired by the Pantheon in Rome. Inside there are stain-glassed windows depicting William Shakespeare and scenes from his plays called The Shakespeare Hall. After having a bit of a walk around we arrived at the Art Gallery which housed a diverse array of artwork from an assortment of periods. There's English art, Flemish, Dutch, Italian and German. I particularly liked the Victorian pieces - the Pre-Raphaelites. Also the artists that were inspired by Ancient Greek, Roman times and the Far East. Frank Dickee's, Funeral of a Viking was incredible and will be a great prelude to me visiting York again on Saturday to experience the Jorvic Viking Museum. 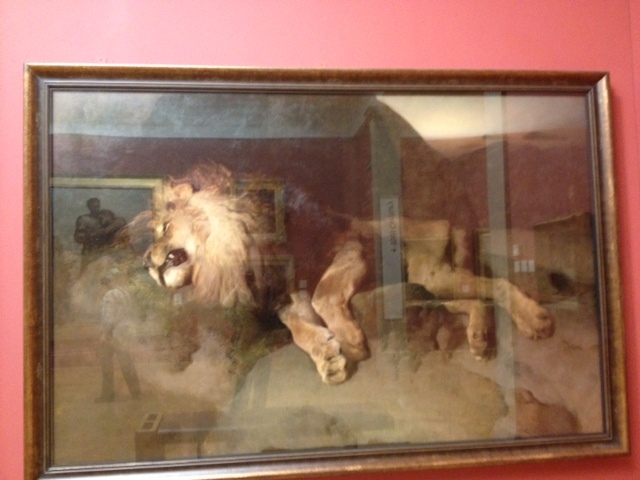 But my favourite was the giant life-size painting of the dead lion by Sir Edwin Lanseer… What a stunning painting. Study tours are very impossible as it helps students to learn things that are new. Staying at one location and studying there with same group of people might limit your knowledge. However, with tour like these, students are able to understand, explore and discover new things. Exploring and discovering new things will help you understand and comprehend new concepts. The beauty of online education is that it has diversity. People from all across the globe are enrolled for various programs like life experience degree programs and with such diverse force, learning gained is very solid and strong. If you guys are looking for tips to help you write a college application essay, right here you'll find plenty of them.